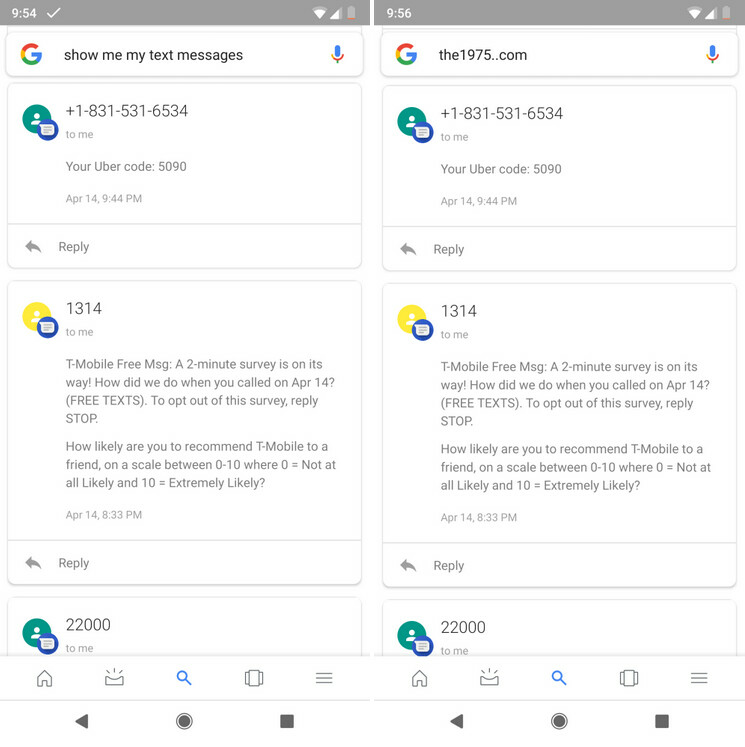 A Reddit user employing Google search on his Pixel 2 XL, accidentally typed an extra period into the Google search bar and received a surprise. Instead of a search result, he received a page showing his text messages. The Redditor typed "the1975..com" complete with the extra period. The page that popped up is exactly the same one that appears if you ask Google to "show me my text messages." 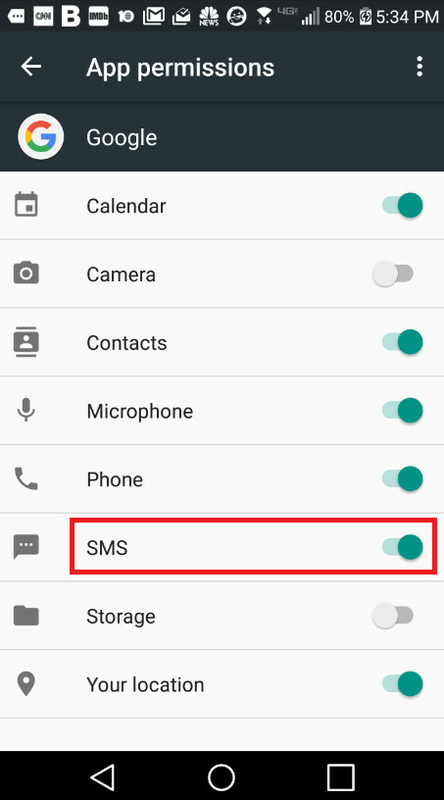 The app must have the proper permissions to view the text messages, which users can disable if they want to by going to Settings > Apps > Google >App permissions and tapping the toggle to revoke SMS permission. Most Android devices running the latest version of the Google app are susceptible to the glitch. Those totin' an iOS device will receive the search results for the website, which is exactly what should happen to Android users as well. Besides "the1975..com," Reddit users found another search term that resulted in users seeing their text messages. Searching for "zela viagens" will trigger the same response. So far, Google has not issued a statement regarding the glitch. It's not a Bug It's a ...feature! Why, do you have something to hide? It's not about having something to hide. Limiting the info you allow companies to collect on you is never a bad thing.